Strak LED Nostalgic LED Bulbs 6W 600lm 4000K Dimmable CUL/UL listed ,High CRI (90). Netural White , Instant On, Mercury and Rohs complaint Construction. Similar sizing as regular Vintage ST64 Incandescent Bulbs. Exactly 1 to 1 ratio for replacement. 80-90% Consumption savings. 50,000 Hours and 5 years Warranty. LED Dimmable Filament Lightbulb in Clear (4-Pack) Strak LED Nostalgic LED Bulbs 6W 600lm 4000K Dimmable CUL/UL listed ,High CRI (90). Netural White , Instant On, Mercury and Rohs complaint Construction. Similar sizing as regular Vintage ST64 Incandescent Bulbs. Exactly 1 to 1 ratio for replacement. 80-90% Consumption savings. 50,000 Hours and 5 years Warranty. 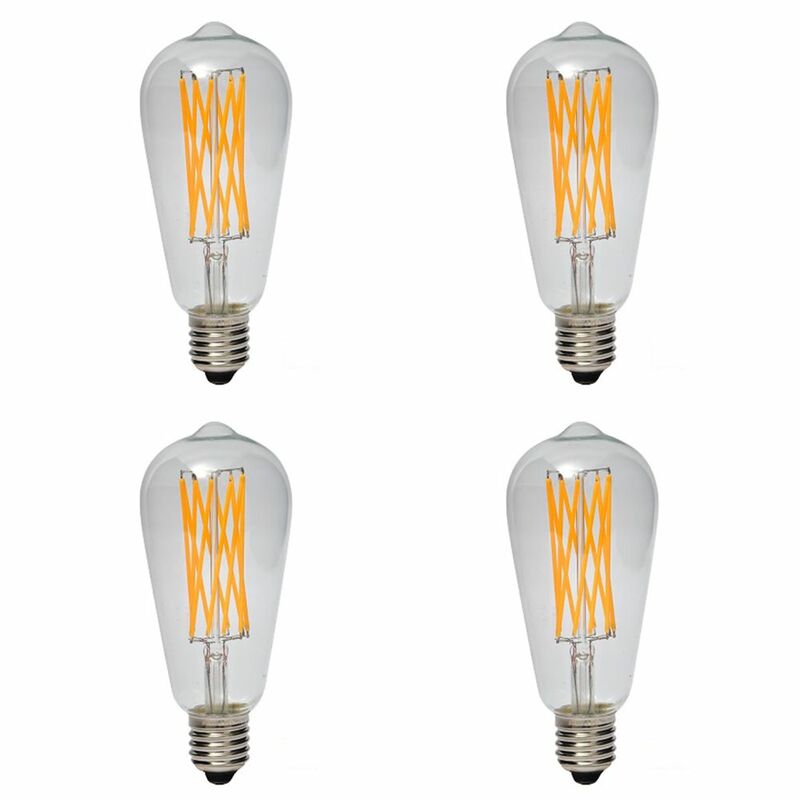 LED Dimmable Filament Lightbulb in Clear (4-Pack) is rated 1.0 out of 5 by 1. Rated 1 out of 5 by Bulldog1 from Misinformation This is a 4000K light bulb, ie. bright white. It is NOT 2200K as listed in the specifications. In the Overview it's listed as 4000k but in the details its 2200k. Which is it? I want a bulb this shape (edison style) that's not so yellow (around/above 3000k). I know they exist but I'm having a really hard time finding them. They erroneously copied the specifications from another light. It is indeed 4000K.